We’ve noted plenty of fragmentation in digital banking, payments and FinTech, but there are also moves being made towards convergence. 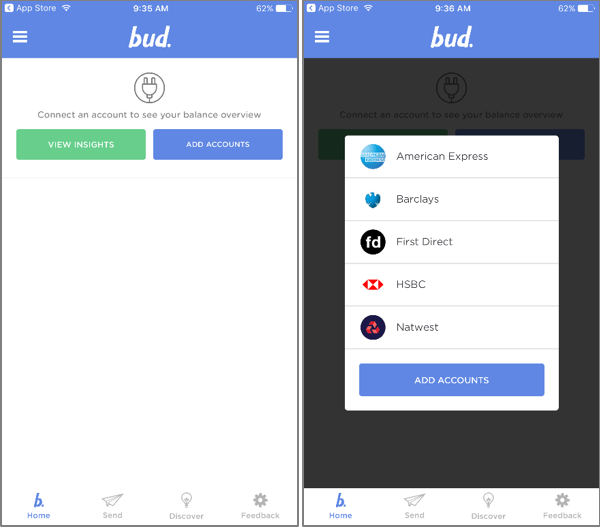 Now in public beta testing, Bud is the banking app that isn’t a bank – and doesn’t need to be. By getting permission to connect to customers’ bank account information, Bud can present all your financial information in one place, as well as providing a marketplace for additional financial products. Their founder Edward Maslaveckas, formerly of Salesforce, is all about making those disparate apps and services work better together. 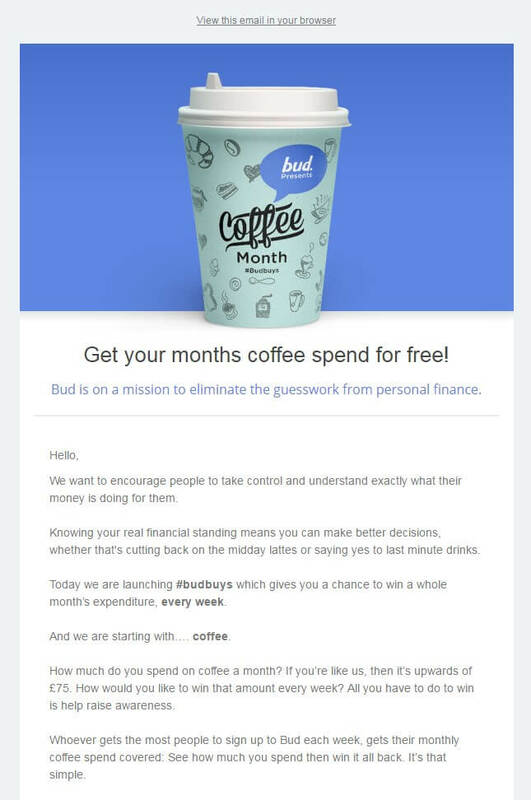 Referring to itself as ‘universal banking’ with ‘no new bank, no new card, and no signup fee’, Bud aims to ‘help people find the FinTech solution to their problem’. It helps them discover these new products and then it ‘front ends’ them to ‘bundle’ internet banking services in one place. So far, Bud has partnered with Nutmeg for savings, Azimo for currency exchange and PensionBee, in addition to some of the larger players including Western Union. From the homepage, customers can Add Accounts. There are six UK banks available to choose from (RBS not shown here). Mapa Analysts have found some bugs with adding accounts, and have not been able to get through to the next stage. Customers who aggregate their accounts have access to an aggregated transaction list and PFM functionality. The product is clearly in its infancy. Many of the proposed features are not yet implemented, such as sending money and discovering new products. You can, however, leave feedback to help Bud improve the platform. 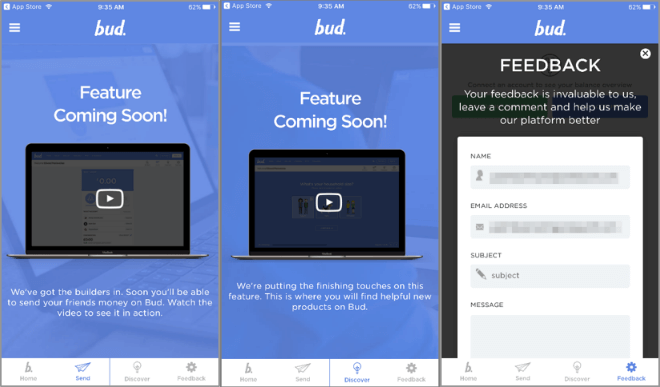 According to Finextra, ‘Most of Bud’s partners integrate fully with their API, giving users seamless access to great services. Others without APIs feature on Bud’s platform as a link directly to their service.’ The business model, for now, is that Bud receives an affiliate commission for referring customers to new services. The experience in the Mapa office has not been seamless so far, but there is excitement about the potential of the platform once teething problems are ironed out. Indeed, with PSD2 on the horizon, Bud’s convergence approach gets increasingly easier – and perhaps one to be copied, maybe even by an incumbent bank. Open Banking will make data that has previously been very hard to get hold of (and present in one place) easier to access. 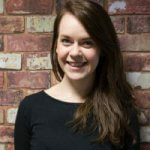 Bud hopes that having first-mover advantage in this space (in the UK at least), and the visuals they use to bring the information to life, will be enough to fend off competition. A finalist at Banking Horizon’s Most Innovative Product 2016, Bud’s latest marketing drive is #budbuys – the chance to win a whole month’s expenditure, for a different commonly purchased product, every week. This week, you can win your month’s spend on coffee – the winner being the person who raises the most awareness about Bud. 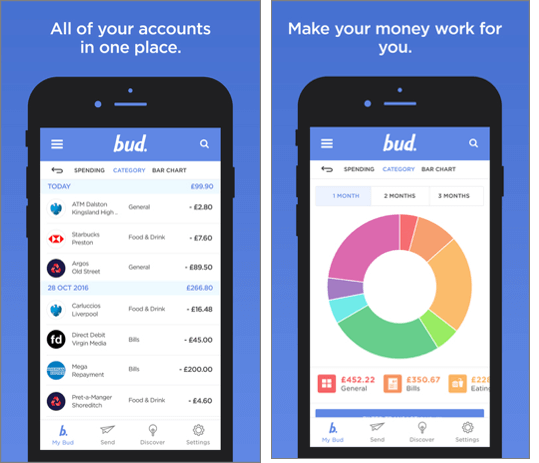 As well as bringing more apps and services on to one platform, Bud aims to remove some of the confusion from the world of banking. By making it possible to invest, save, borrow and transfer money abroad from one platform, the startup thinks it can demystify FinTech offerings and open up services to a wider audience. For more information on the impact of PSD2 on banking, the new players challenging incumbents, or the features banks are adding to their secure desktop and mobile applications, contact Mapa Research today. We have access to accounts across the globe, and can give our clients unique insight to, and analysis of, the banking customer experience.